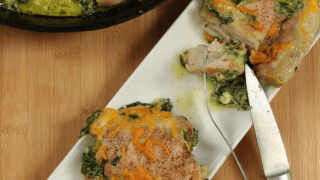 Creamy, full of healthy, filling fats and oh so delicious, these cheesy spinach stuffed chicken thighs are a super easy dish to make! The Frenchman and I took a road trip a while back, to visit some old friends. 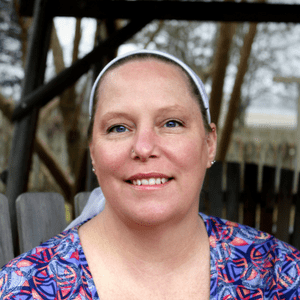 It was a lovely time, enjoying each other’s company, seeing how their babies have grown and talking all things homesteading and keto dieting. 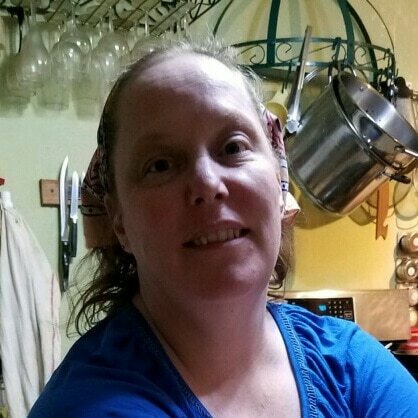 My sweet friend and her hubby are really working on going to a keto lifestyle this year, and she was struggling with how to make all the food work. Of course, she has 3 little girls under the age of 4, so it’s understandable she’s very busy. 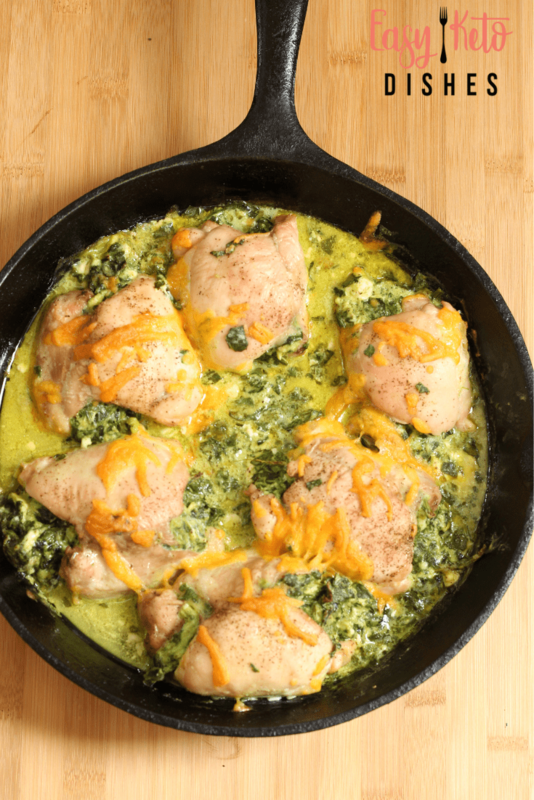 For dinner that night, she made a delicious meal of chicken breasts, stuffed with spinach leaves and cream cheese. The spinach leaves didn’t want to stay in place, and the cream cheese seemed to be her nemisis. While I loved it, I wanted to make something more easy to work with, instead of fighting the leaves to stay in place. The Frenchman and I talked about all the ways to achieve a new recipe. I give you cheesy spinach stuffed chicken thighs. Now, I’ll be the first to say that chicken breasts butterflied and stuffed with this filling is the traditional way to do it. But, who wants to be traditional, right? Besides, let’s be honest. Dark meat is really tasty, has more fat than breast meat and can take the full cheesy flavor without issues. You can buy the chicken thighs already skinned and deboned, or you can do it yourself. The bone in, skin on thighs are usually cheaper, but if you need a shortcut in the kitchen, get the boneless ones. If you really wanted to, you could use chicken breasts, simply cut in half, butterflying them. Follow the remaining directions for a tasty treat. 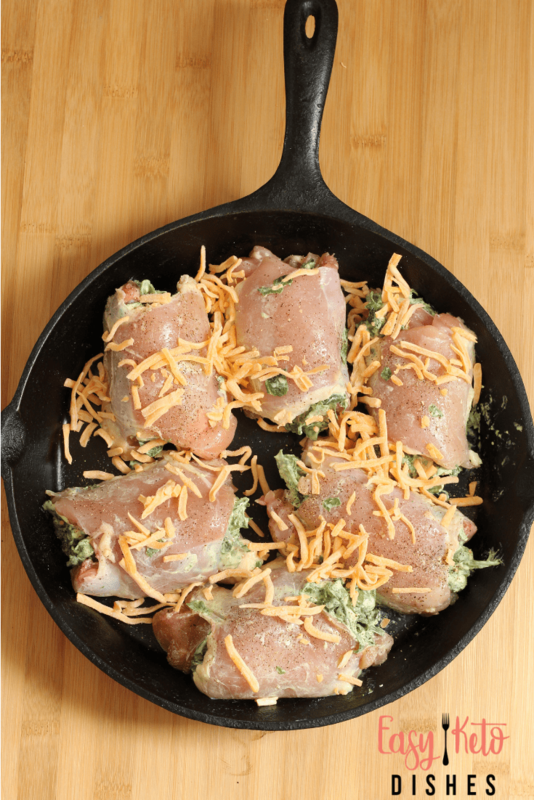 These spinach stuffed chicken thighs are a great meal prep meal, as they reheat very nicely. Hubby likes to take them for lunches when he has to go into work. They are very filling and keep him going all afternoon. 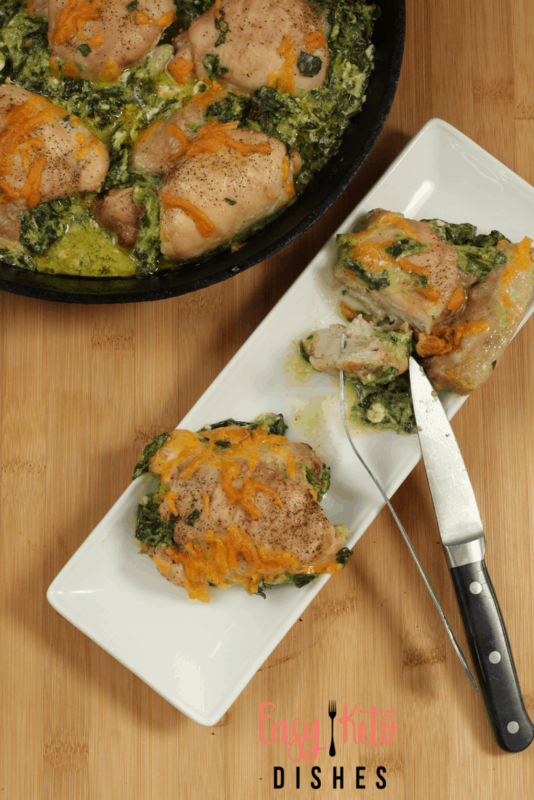 The best part about these cheesy spinach stuffed chicken thighs? They are a one dish meal. 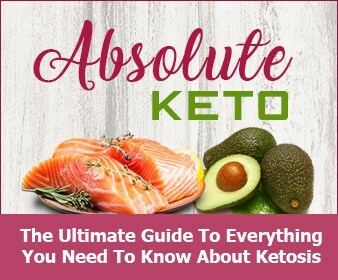 Your protein, green non starchy, and healthy fats are all in one place! You can use a 9×13 baking dish for this meal, if you prefer. I love to use my 10 inch cast iron pan for this, as it helps to crisp up the chicken a little more. Plus, it has that “homesteady” feel I love to bring to all my cooking. Must be the crazy chicken lady in me. Grease a 9×13 baking pan with coconut oil, or butter. If using a cast iron pan, no need to grease the pan. Season the chicken thighs on both sides by sprinkling 1 teaspoon salt and 1 teaspoon pepper evenly over chicken. In a stand mixer, add softened cream cheese, spinach, cream, remaining salt and pepper, and garlic cloves. Spread 1/2 cup of the mixture across each chicken thigh. Fold over gently and place in pan open side down. Sprinkle cheddar cheese over top of chicken thighs. Bake for 45-50 minutes, or until thermometer reads 165 minimum. What is your favorite chicken dish? 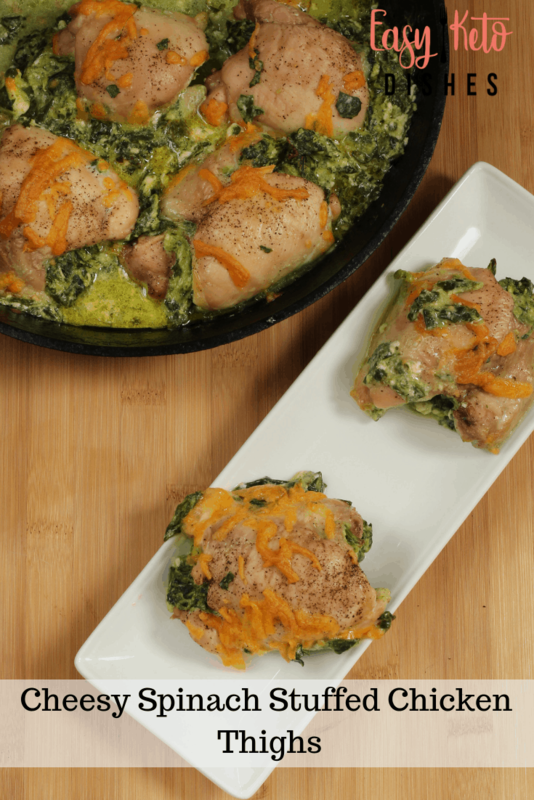 Be sure to let me know if you try and love this spinach stuffed chicken! Grease a 9x13 baking pan with coconut oil, or butter. If using a cast iron pan, no need to grease the pan. Spread 1/3 cup of the mixture across each chicken thigh. Fold over gently and place in pan open side down.